Variations and Transformations teach a lot about how to cook as well as cook under pressure! 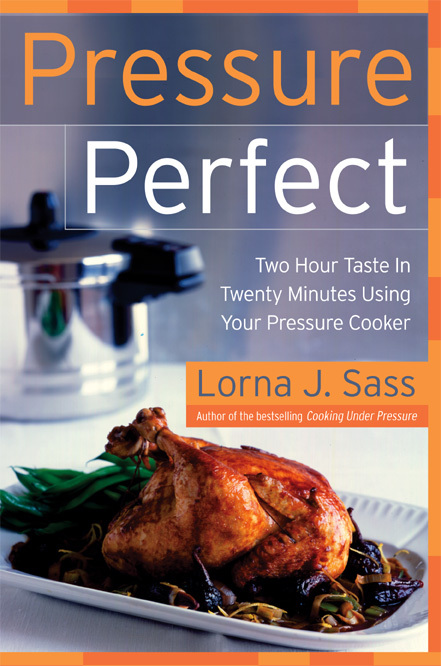 I wanted to celebrate and share with you the stellar review of Pressure Perfect written by Laura Pazzaglia, founder of the exciting blog, Hip Pressure Cooking. With her innovative recipes, Laura is doing so much to establish the pressure cooker as an essential tool in the contemporary American kitchen. At the end of the review, Laura runs my complete recipe for Lamb Shanks with White Beans, the variations, and the 3 interesting Transformations as well. With the Transformations, I show you how to make a very different dish by adding or subtracting a few ingredients to the main recipe. Those of you who don’t yet have your own copy of Pressure Perfect will get a chance to see what you’re missing.